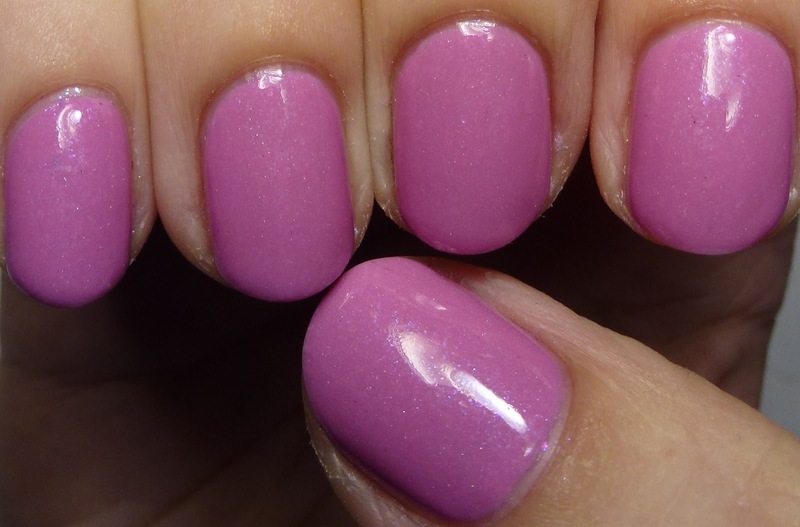 A Currant Affair was a polish from TFL's Viola Trio last fall. 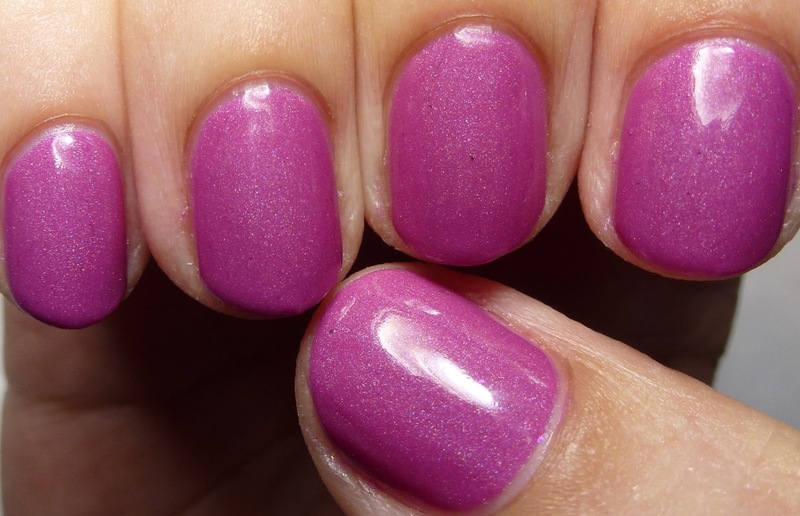 It is super-opaque and super-holo with a perfect formula. Linear holographic shimmer in a currant-plum base. Two coats. This is the first version of Aphrodite, one of Charlene's first colors. 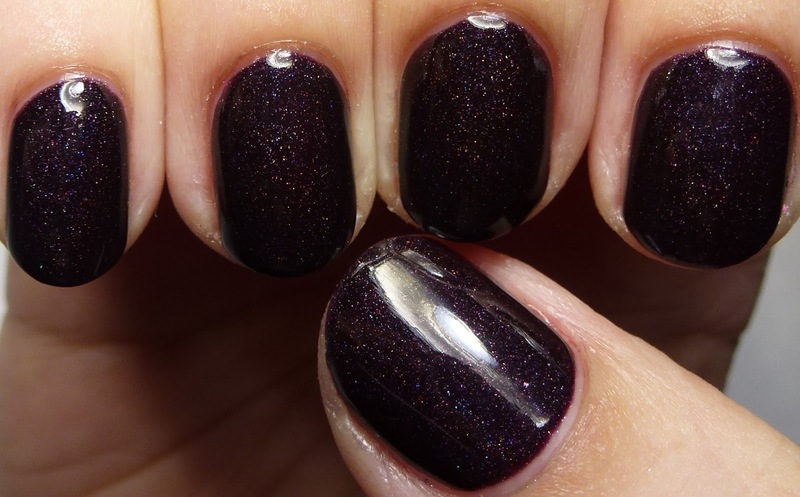 It is a shiny, dark polish with scattered holo. It has her old base, which has a different, stronger scent from her newer polishes. Scattered holographic shimmer in a black-plum base. Three coats. Here is the new version of Aphrodite, which is an ultra-holo. Due to the increased amount of shimmer, it appears lighter than the old one. This one is so amazingly holo it glows even in low light! 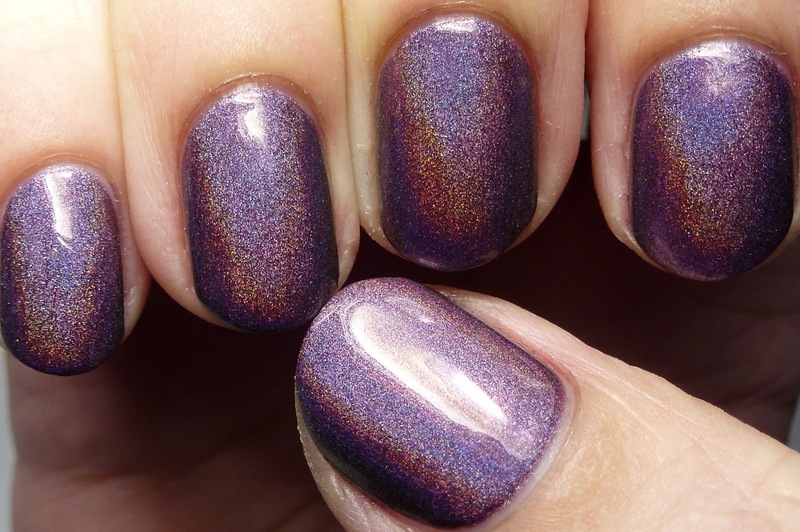 Linear holographic shimmer in a dark plum base. Three coats. 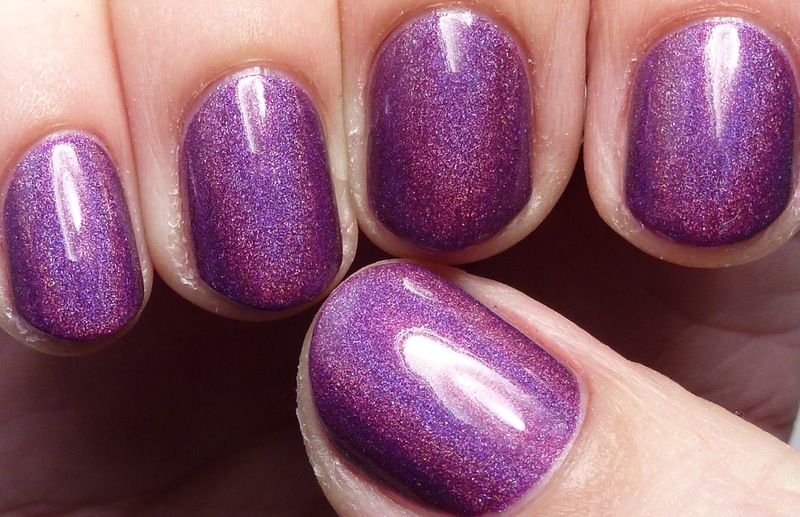 A Pretty Mistake was an early "oops" polish that was sold for a discounted rate. It is lovely, but Charlene spotted some pigment flecks in it she didn't like. I had no problems with it at all. It was made with the old base. Scattered holographic shimmer and magenta and blue flakes in a pink-magenta base. Three coats. Bauhinia Garden was an early limited edition. It is not a holo but rather a gorgeous flakie. Scattered holographic shimmer and magenta and blue flakes in a pink-magenta base. Three coats. 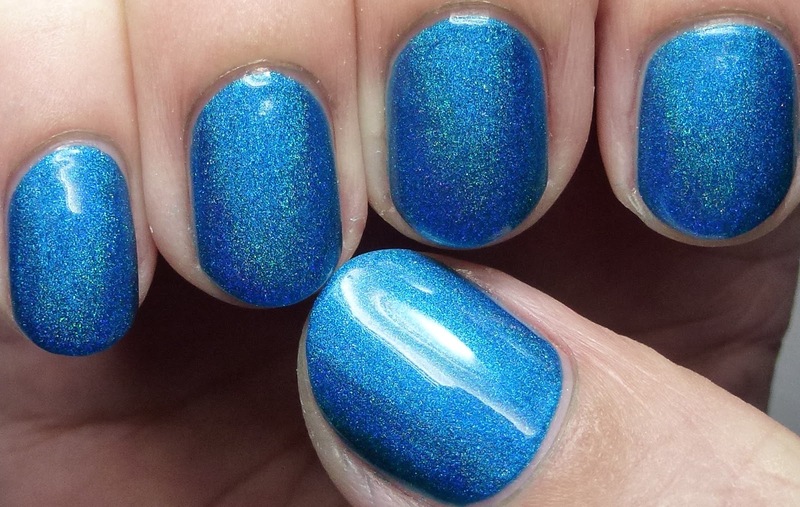 Bejeweled is a vibrant blue holo that was part of the Bluemuda Trio. 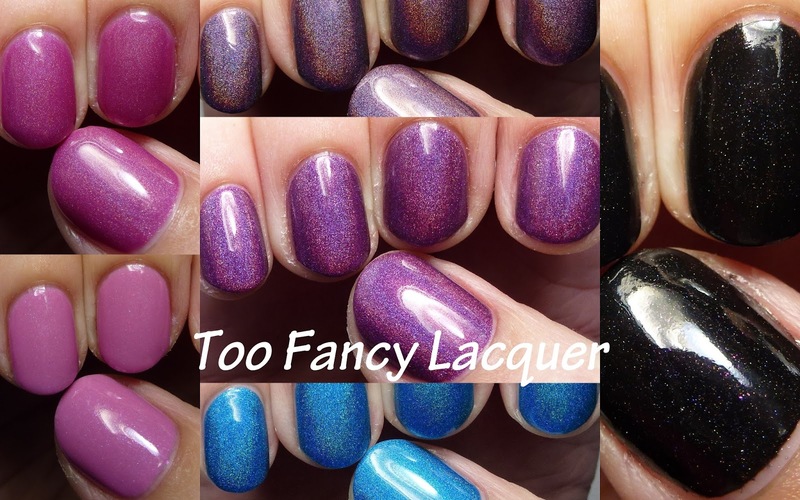 I hope Charlene makes more of these color trios - they are fantastic! This one has a perfect formula and I love it! Linear holographic shimmer in a vibrant green-tinged blue base. Three coats. This is a brand based out of Hong Kong.